Contraception with the combined pill is dangerous for women with single ventricle defects because of the risk of blood clot formation. Other birth control methods, including progestogen- only pills (POP), may be used. The cardiovascular changes involved in pregnancy are especially risky for the single ventricle and post-Fontan patient. For the non-Fontan patient, the amount of risk depends on the degrees of cyanosis, aortic valve regurgitation, and/or ventricular dysfunction present. 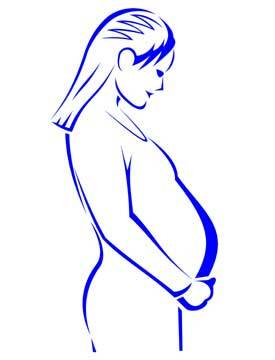 There is also a risk of blood clot formation during pregnancy as well as hemorrhage after delivery. Expectant Fontan patients also face significant risks, the degree depending on ventricular function and other factors. Arrhythmias may bring complications, and nearly 1/3 of the pregnancies of Tricuspid Atresia and Hypoplastic Left Heart Syndrome women will result in miscarriages. In addition to the concerns mentioned above, the medications commonly prescribed to control arrhythmias and other problems may have adverse effects on the developing fetus. However, successful pregnancies under careful medical supervision have been reported for patients with various forms of single ventricle, both with and without the Fontan. Women with a high tolerance for exercise prior to conception tend to do well.